Insulin is a hormone that’s made and released by the pancreas. It allows our body’s cells to absorb sugar (glucose) from the blood. This glucose comes from the food we eat and it’s used for energy or stored as fat for future use. Insulin helps keep your blood glucose level remain within a relatively narrow range. 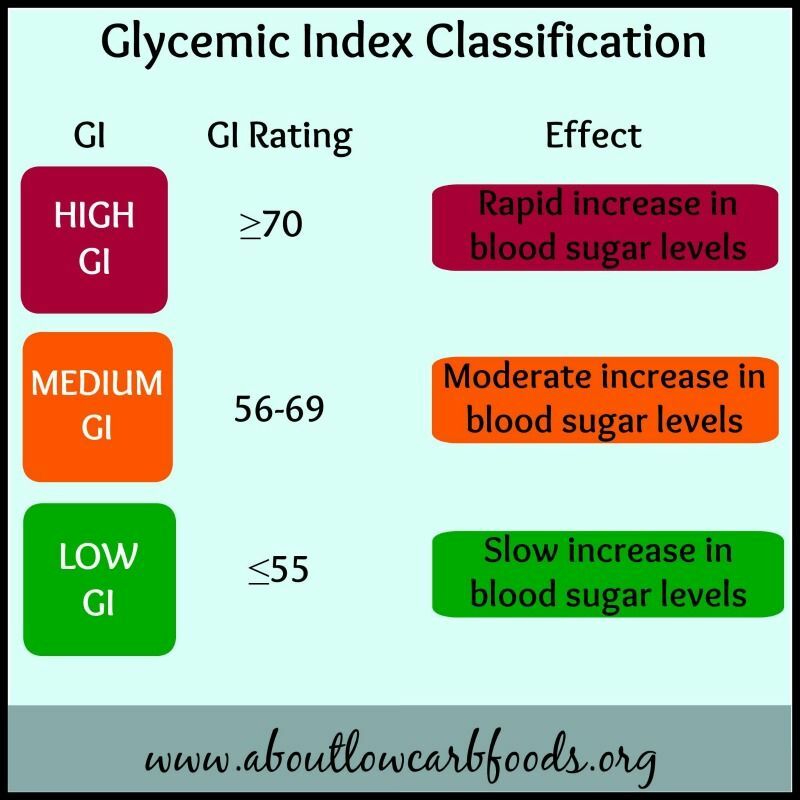 When this level gets too high as a result of consuming too many carbohydrates (a condition known as hyperglycemia), the pancreas receives a signal to produce insulin. Insulin transports the excess glucose to the cells. It converts the glucose either into glycogen and stored in the liver and muscle, or into fat and stored in fat cells. Low carb diets are based on the role of insulin in our body. The body can convert either fats, proteins or carbohydrates to glucose and use them for energy. Fats and proteins are metabolized slowly, while carbohydrates are metabolized more quickly, causing the sharp spikes in the body’s blood glucose levels. These spikes in blood glucose levels cause the production and release of insulin until the level goes back to a normal range. In the same token, when the insulin level rises, it stops the breakdown of fat, protein and carbohydrate for fuel, and simultaneously promotes the storage of fat. 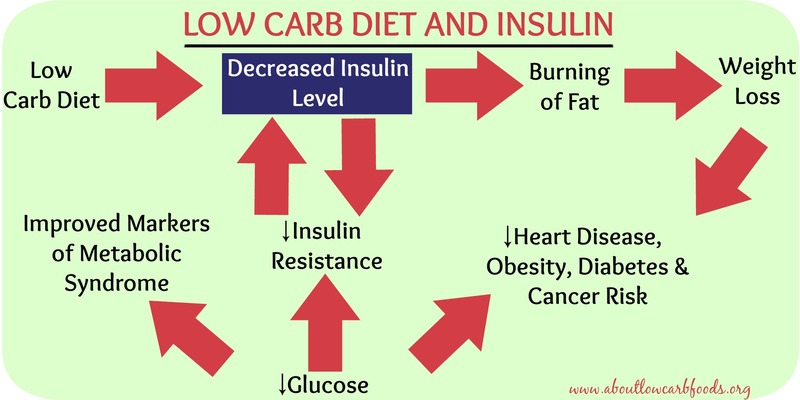 The correlation between a low carb diet and insulin is as follows: limiting carbohydrate consumption stimulates the burning of fat and decreases fat storage. In fact, the metabolism and burning of fat are both extremely sensitive to changes in the amount of circulating insulin released by the pancreas in response to carbohydrate intake. A slight reduction in insulin levels can certainly increase the burning of fat. A reduction in insulin levels also decreases glucose uptake and slows the transformation of glucose into fat. Following a low carb diet significantly reduces insulin levels in the body throughout the day so you burn more body fat for energy, as opposed to storing the fat. 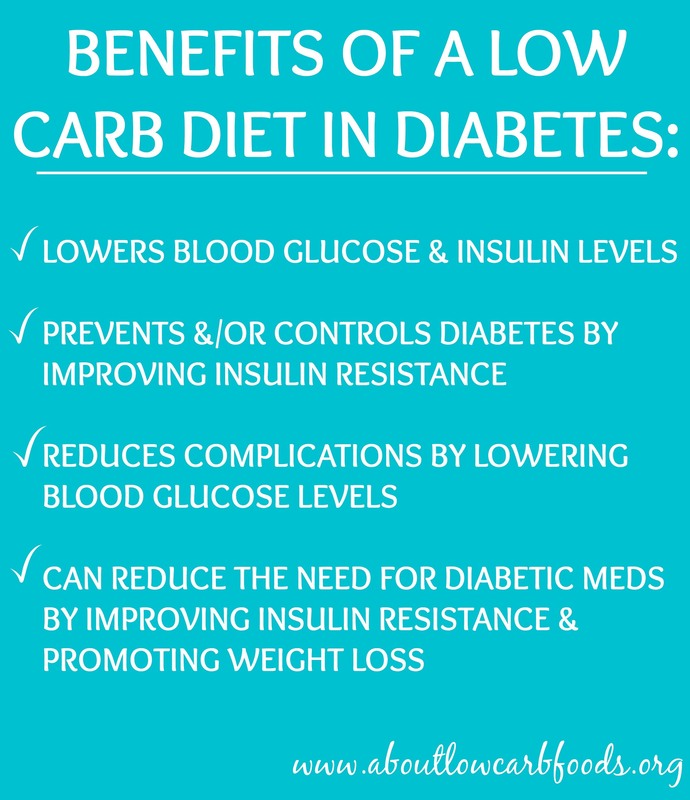 The connection between a low carb diet and insulin levels is quite simple. Carbohydrates, especially simple carbs like sugar, bread and pasta, are broken down into glucose by the body, thereby causing a rapid increase in blood glucose levels. This in turn results in the release of large amounts of insulin. Low-carb diets emphasize eating fewer carbs which then causes less insulin to be released by the pancreas, and fewer calories to be stored as fat. Some low carb diet plans start off with an induction phase — a period of extremely low carb intake of less than 20 grams of carbs daily — so that the body will enter a metabolic state of ketosis and burn fat stores more quickly and efficiently. Followers of low carb diets eat fewer carbs which equals to less insulin circulating in the blood — less fat is stored which equals to less weight gain. The lower the body’s insulin levels, the more effectively it encourages fat cells to release their stores, and the easier it becomes to lose weight. According to several authorities, over the long term, lower insulin levels can improve insulin resistance, markers of metabolic syndrome, and also reduce the risk of serious health problems such as obesity, heart disease, diabetes, and even cancer. A low carb diet and insulin resistance are therefore inter-twined. Moderation is advised though when going low carb as a very low-carb diet can have a paradoxical effect and can actually end up causing insulin resistance as part of the starvation response.